I don't like this new normal. He is looking right at you. Cute capture. He has you in his eye! Great capture! awwww what's not to like mate? oh dear, disgruntled - was it the weather? Wondering just what type of bird you are? Do love the expressive eyes. Thank you - my intentions were to show you in a series this week of this cute creature as he flew about my back garden. Then ... cancer came and took my friend. 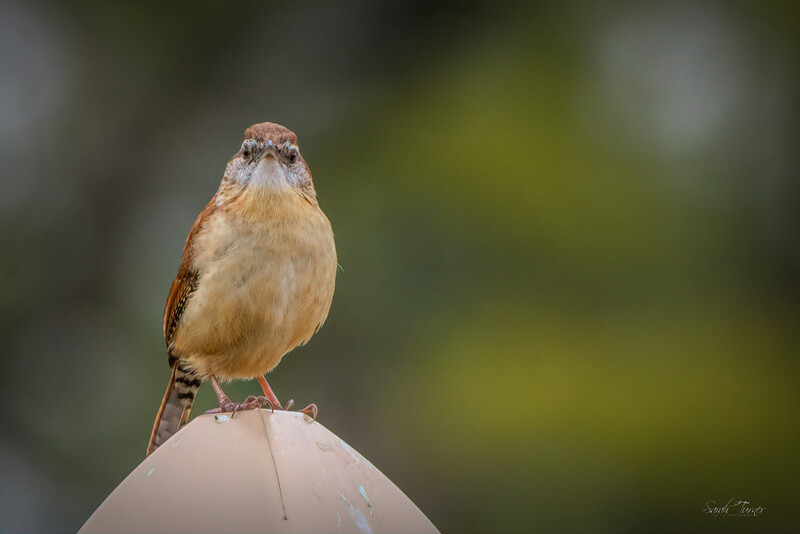 The Carolina Wren helped me express what I was feeling. He was quite vocal, yet beautiful. Yet given my circumstances he expressed my sentiment.